I often think that life itself is funnel-shaped. It all depends on which way you go into the funnel. A worldling goes into the funnel at the big end, where he’s offered grandiose opportunities, possibilities, freedom. Then life for him narrows down into boring smallness. But for the Christian, God has turned that funnel around. For “narrow is the gate” that leads to his life. But as you go in through the narrow way you find that it broadens out into beautiful freedom, into glorious newness. It keeps opening and opening and opening into the vast will of God for your life. There is no boredom. There is no smallness when you walk with God. Within that life there is continual newness. You can begin again and again and again. You may be thinking when you take a look at that life you’ve been leading, “What’s the use? I’ll never be anything! There’s no sense of greatness in life to me at all. I’m in a rut. I’ve tried to break loose, but I just cannot – so why try? I’ll settle for what I am, and that’s all I’m going to be, nothing more, nothing new.” And low expectation causes sadness to set in. But I want to tell you that the Christian life offers to you wide horizons. It offers to you great new beginnings. It’s possible to have a fresh start. Whoever you are, you can begin again. I want you to see first of all the promises that we have for a new beginning; the price of it; the plan that you might have. First, the promise. The growing Christian normally experiences constant renewal. Ephesians 4:23 says to “be renewed in the spirit of your minds….” And that is in the present tense. “Keep on being renewed” in your vitality, in the spiritual youthfulness that God wants to give you. It begins in the mind, the thinking center. God wants to change the entire way you look at the life that you have. He wants it to become increasingly new. Remember that Paul says, “While the outer man gets old, the inner man is renewed day by day.” That’s a promise to the Christian. He is refreshed, and should be continually refreshed. Paul says in Philippians, “I will be one who lives in fresh newness of life.” And in II Corinthians 5:17, “If any one is in Christ, he is a new creation; the old has passed away, behold, the new has come.” That word really means that “the new has come and is coming.” That’s the normal life of the growing man and woman of God. We were born again; we are becoming a new creation. God does something fresh and new when you receive Christ. The new has come, and as you walk along with Jesus Christ the new keeps coming. Now, God is the God of beginnings. Sometimes His newness is a process, and other times He brings it in crisis. I have been speaking of a person who walks in faithfulness with God, and just feeds on the Lord, loves Him, worships, is steady with God. There is continual renewal. And this is what God wants to give us all. The song “Great Is Thy Faithfulness” comes out of the context of the Old Testament from Lamentations where God says His mercies are new every morning, and they never come to an end. God says about Israel, “I’m going to do something new.” He actually puts it in the present tense, as though it were already done. And God is going to give them a new future. He is going to blot out their transgressions, says verse 25. He’s going to make them absolutely fresh in His presence “He will remember their sins no more.” If God has the power to do that for the entire nation of Israel, — my friend, He can do it for you! Let me tell you something – the whole plan of history from God’s point of view ends in glorious newness. The Bible ends with a new heaven and a new earth. Your little world is under constant renewal by the grace of God, and it’s going to end in a grand conclusion. The whole universe, from God’s angle, is going to be renewed—“ a new heaven and a new earth.” “Behold,” says Revelation, “I make all things new.” And that is God’s way. You see, the things of man get older and get less. But the things of God get renewed and get more: that is God’s method. The old heavens and the old earth give way to a new heaven and a new earth. When Jesus went to the wedding at Cana, you remember how He changed the water into wine and they said, “The best wine is last!” That’s the way Jesus’ work is: He always improves. He always makes more. He always makes better. That’s what God does for any person who trusts Him. The Old Testament says “The path of the just shines more and more unto the perfect day.” Paul writes that we are being changed by the Spirit of God from one degree of glory to another. In other words, there’s that continually better work of God going on in our lives. You have not begun to see all God wants to do for you yet. God has new things to do for you! I know very well what it’s like to feel dull. I’ve felt many times like Peter in my own ocean of tragedy, sinking, and crying out, “Lord, save me! I’m going to drown for sure.” And He has come through. Time after time I’ve experienced the gift of God’s beginning again in my life. He has given me a process of refreshing, or a crisis of refreshing. Sometimes it’s crisis when He just jolts me into newness. I’ll just share my heart with you – sometimes I’ve been devastated by weakness and sin. I’ve been unable to manage myself or my thoughts; my head was not on right at all. I remember once I got down on the floor and wept before God, stretched our flat. I thought, “Ortlund, you’re through. You are no good, period. You’ll never be anything.” But wonderfully, the Spirit of God began to encourage me again. Or sometimes God has used a sharp word from a friend that just came bluntly and correctly and confirmed what I was thinking, and then gave me hope. And I began to receive God’s grace, and God gave me another fresh start. Well, maybe you need this new start. Only God can untangle your mess, but He can do it. You can’t – but God can! If you’re thinking, “Oh, our marriage is so old!” – God can give you a new marriage. Maybe you’ve become discouraged about yourself and you feel mixed in immobility, frozen where you are. God can free you! Maybe you’ve had a wrong entanglement with somebody. Can God make it right? Yes, He can! Or there’s a drinking problem in your life, and you’re embarrassed about it. It’s happened, and there you are. Can God do anything for you? Yes, He can! Maybe you have a deeply ingrained habit of gossip. You don’t know why, but you get in a group and suddenly you are the one who triggers off the negative comments, — the arrows that go right at the heart of another person. You wish you could quit! God can free you. The Scripture says He can cause sweet waters to flow from your mouth, instead of bitter. I want to tell you that I’ve experienced newness in my life time and time again. I love the words of Hosea where God says, “I will heal their faithlessness” (their backsliding); “I will love them freely….” That’s our God. Onesimus was a fugitive in exile, afraid to go back to his home and his job. Then Paul interceded to his superior, and he was welcomed back and got a chance to begin again as a brother. Mark who was a quitter, ran from Paul in his ministry. But then later on Paul wrote in a letter, “Bring me Mark for he is important to me.” And Mark began again. And God said, “You shall no longer be called that, but you shall be called Israel, — Prince with God.” I suppose Jacob thought, “Who, me?” Even after that, he failed and failed again, and God appeared and gave new beginnings again and again to Jacob. You see, the old nature dies hard, my friend. You can say “amen” to that; so can I. The promises are all there. But what’s the price? The price is two-fold: one is repentance, and the other is faith. That’s what we have all through the Scriptures, a “running commentary,” a call for repentance and for faith. Let God make some changes in your life. Acknowledge your need for the changes – that’s repentance – and turn around. Get going by His grace and His strength in a new direction. Repent, turn around. We see in Ephesians 4:22, that we are to “put off the old nature which belongs to your former manner of life and is corrupt through deceitful lusts….” Christianity has its negative side. There are some things you’ve got to quit doing. In verse 17, talking about this very thing, he says, “You must no longer live as the Gentiles do.” That’s referring to the unbelieving world. But verse 23, “Be renewed in the spirit of your minds.” I would like to “level with you” at this point. You may wonder why you’re so dry, and you’re not spiritually alert, — when you act like the world, talk like the world, think like the world. You let the newspapers govern your attitude and your spirit! (Never read the newspapers first thing in the morning. Read your Bible first – or the newspaper will “cream” you in your thinking!) 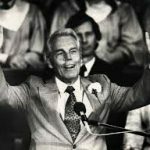 You know all those negative news stories, and you know all about who was on Johnny Carson last, but you don’t know about the rich things of life, about God. You haven’t shared what God has been doing in your life. You haven’t heard about what God has been doing in the lives of other people. The world has captured you. God wants to give you refreshing! But your part is to repent, to be truly sorry that you got caught up in all that, in order to begin anew. Turn again and to another direction with God. I remember a particular time when I felt I was really stuck in sameness, and I was very discouraged. I wanted so much for the Lord to use me in some kind of “beginnings again” with people. I had seen it happen through the years, but not in any large thunderous way! Then Lake Avenue Church sent us off to minister at Wheaton College to a campus that was needy. There was a hard spirit on the campus – as there was on so many in those days. We went with fear and trembling, and for the first time, the church prayed around the clock as we were there. And God came so beautifully, so powerfully upon that campus that the whole atmosphere was changed. There came a beginning again for Wheaton College! I just stood and watched as we all prayed together and God brought renewal to any hundreds of students. And again and again since then, He’s let us all in on that kind of ministry together. How grateful I am. You know, Peter denied Christ three times during that awful test of His trial. After the resurrection Jesus said to him, “Peter, do you love me?” And then He said to him three times, as though Peter were being given a whole fresh beginning again, “Peter, feed My sheep… tend My sheep… feed My sheep.” I’m sure Peter thought, “Lord, do You mean that I still get to serve You, after all I’ve done?” “Yes.” “Can I being again, God?” “Yes,” said the Savior, “you may begin again. Feed My sheep.” Isn’t that great? Believe God. Repent and believe. There’s the hardest thing. Joel puts it this way, “I will restore the years which the locusts have eaten.” Listen, God will do that for you. God will restore the years. I don’t understand this. But I’ve seen people with hard expressions, come out of tough, defeated discouraged lives – who come to Jesus and put their faith in Him – and they actually have brighter, happier, younger faces. It happens! Believe God for a new beginning in your life. Live in the light of Christ’s power on your behalf. God calls you to that. Repent and believe, both. Don’t just repent. I’ve done that; I’ve had that sorrow! But until I believed God, that was just a “trip.” I needed to believe what God could do for me. There’s a beautiful story – a cute story, really – of a couple who failed in their farm in the depression days. So they took the assets they had and bought a little drugstore in a mid-west community. There were terrible crops; people had no money to buy things; and the drugstore was doing very poorly. And it tickled people’s sense of humor, and they began to come in and drink the free ice water, — and buy. It sounds like such a dumb thing, but it was a great thing. Those signs now appear all over the world. Do you know what you can read on the 38th parallel in Korea? God wants you to have a new attitude, a new mind, a new heart, a new way of thinking. And this can take shape in you. First of all, you must become a Christian. “You must be born again!” You may say, “Well, how do I do that?” Just receive Christ, by faith. Repent from what you are; believe in Jesus. Admit your need, admit your sin, and then believe. about all that He wants you to do. Start with God, though; start with Him. One person told me, “I felt as if I got a new start in my life when I got a notebook.” And I have a notebook now, too, in which I have my goals, my prayer list, my speaking needs, my priorities; I have sermon notes; I have thought notes; I have a “to do” list in it. (I saw a book the other day that was titled, Dumb Things I Have to Do, and I have that on my last page in my little book.) Get your life in order. Look to God for new beginning in your life. Ray Ortlund, Sr. founded Renewal Ministries along with his wife, Anne, in 1979. 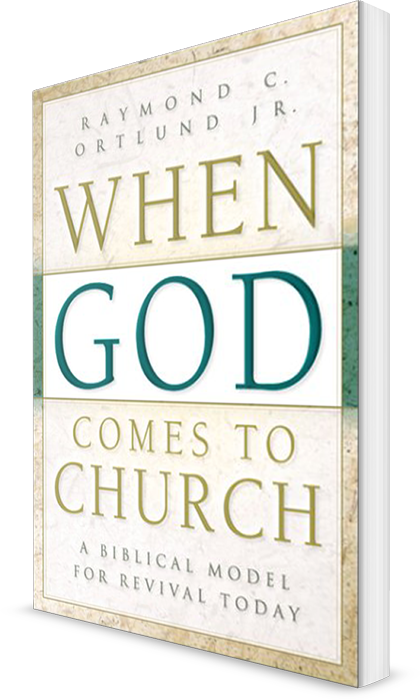 He pastored throughout his adult life and published many resources still available today. He died in 2007 in the company of his loving family.